It’s that moment when the bride arrives to the venue. Her hair is perfect, her skin is flawless, and her heart is full. She steps out of her Atchison Transportation Services limo, looking as stunning as ever, and heads down the aisle to meet her soulmate. Then, for us at least, we patiently wait as our details have been provided in advance, for the new couple to dash out to us and begin their new lives together. Atchison Transportation Services is your premier wedding transportation provider serving all over the state of South Carolina. Make your wedding magical! 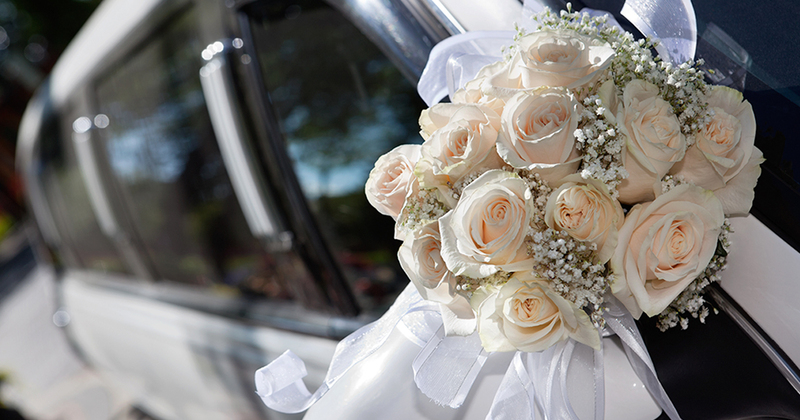 Here are 3 important things to look for when it comes to a wedding transportation provider! Credibility – Do not, we repeat, do not leave your wedding transportation up to someone that you have not thoroughly investigated to be credible. Choosing your wedding transportation provider by checking their credentials is extremely important. We feel this way for obvious reasons, with the number one reason being safety! Would you get into a car with a total stranger? No, so don’t do this on your wedding day. Ask your provider if the chauffeurs are drug tested, DOT licensed and certified! Professional – Whatever your big day may bring, it’s important that you choose a service that consistently acts in a professional manner. Will they be dressed appropriately? Will they be on time? Will the drivers know how to be professional during a situation that is not necessarily ideal? Experience and professionalism go hand in hand. The best way to seek a professional service is asking for testimonials and looking up other company’s reviews online. Experience goes a long way when you are handling an entire wedding! Accommodations – A wedding is a chance for every couple to share the love that they have for one another with all of their friends and family. So, whether you are looking for a wedding transportation provider for just the bride and groom or for the wedding party and all of the wedding guests, it’s important to know that the service you choose will be accommodating. Can they handle a party your size? Do they have the experience to shuttle guests safely back and forth to the venue in a timely manner that does not hold up the party? Is the actual mode of transportation clean and comfortable? Again, finding these answers through reviews and talking with each service will go a long way on your special day! At Atchison Transportation Services, we have over 65 years of experience providing flawless wedding transportation services all around South Carolina. For more advice on booking and choosing your wedding transportation provider, call us today at 1-800-346-7129.